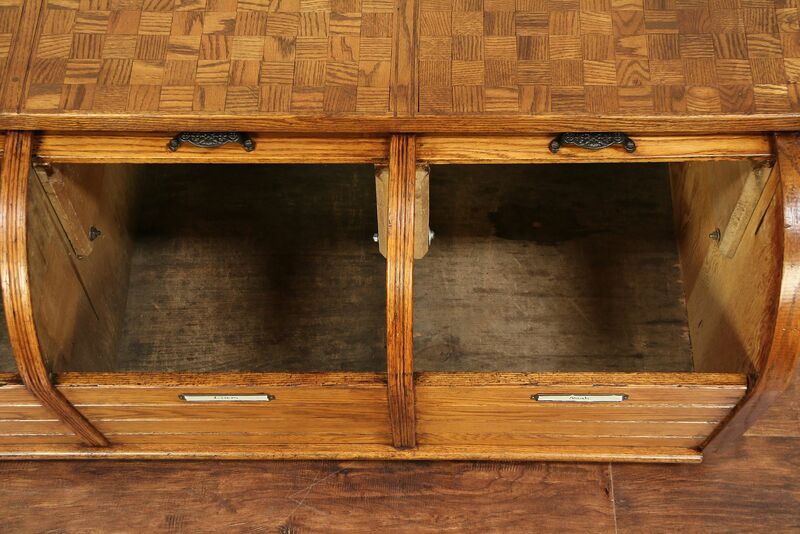 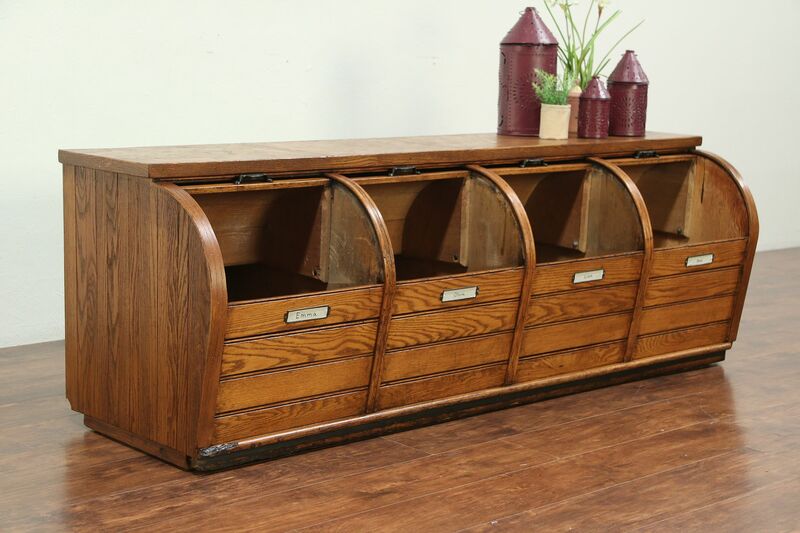 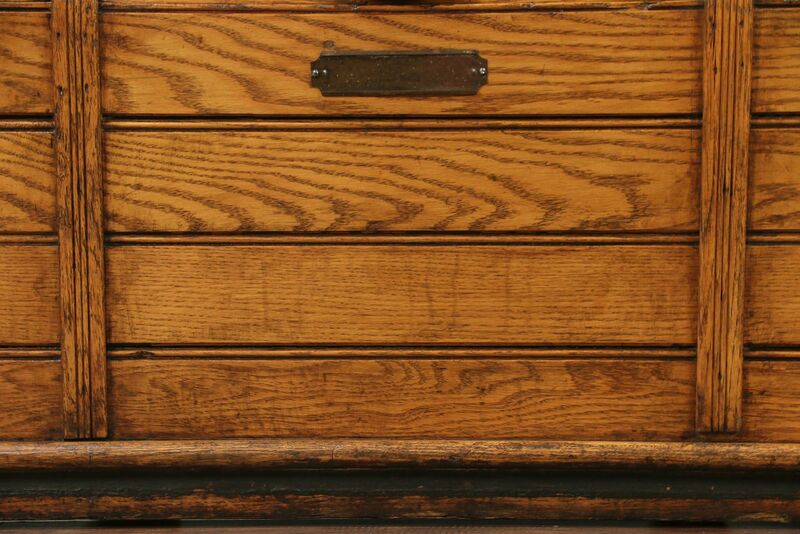 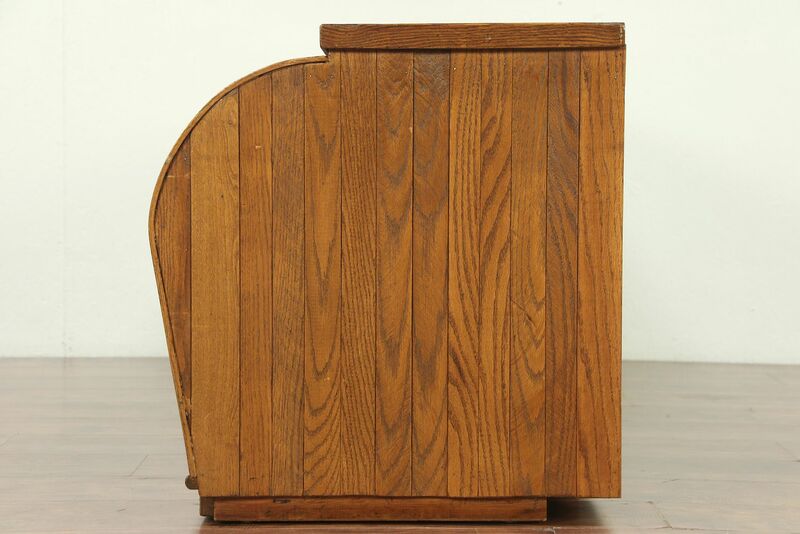 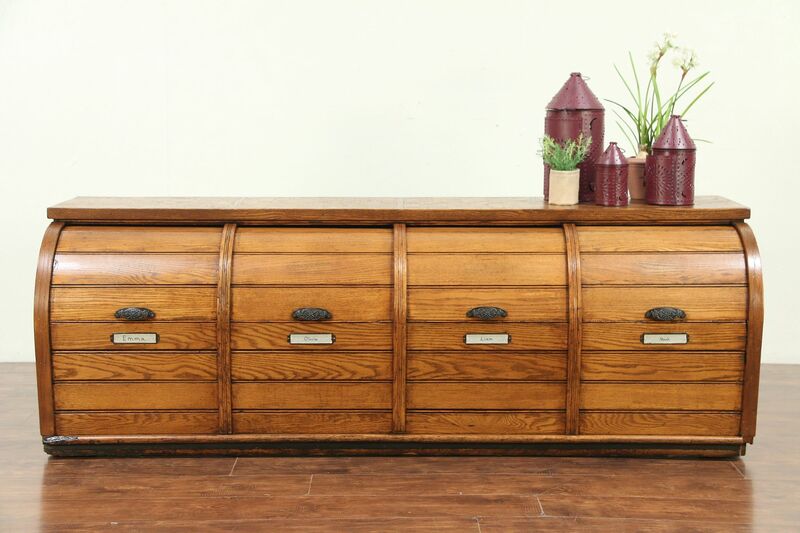 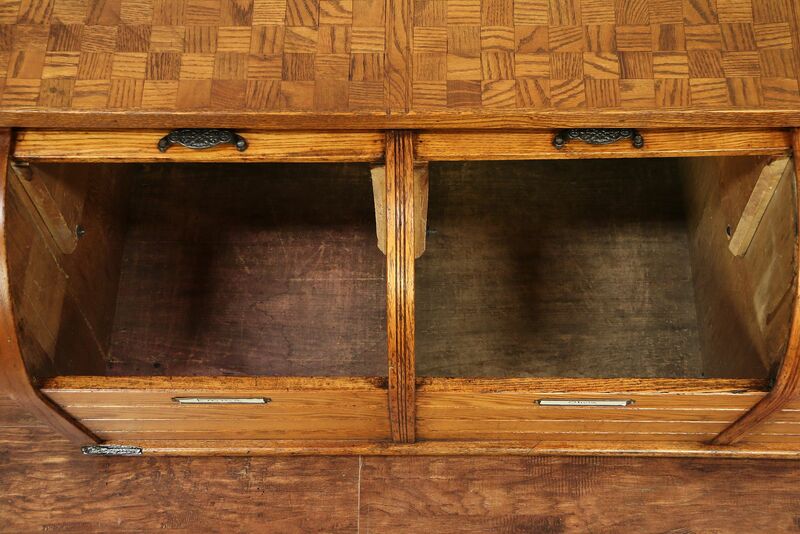 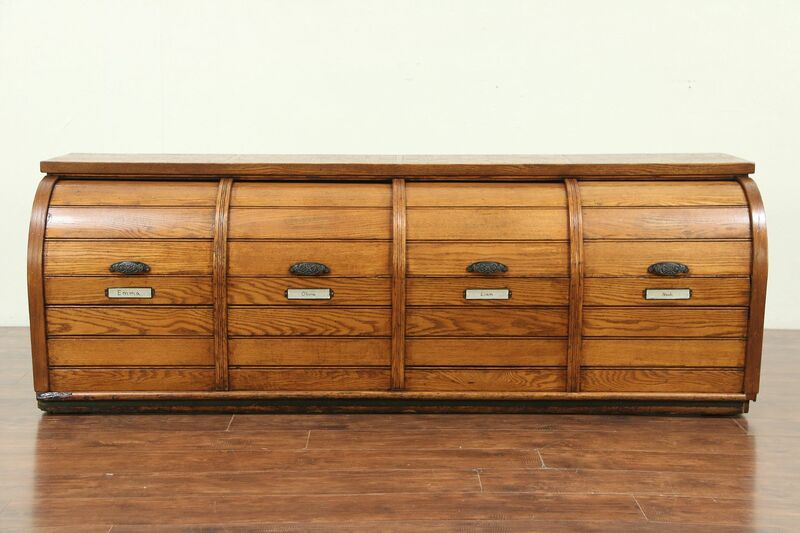 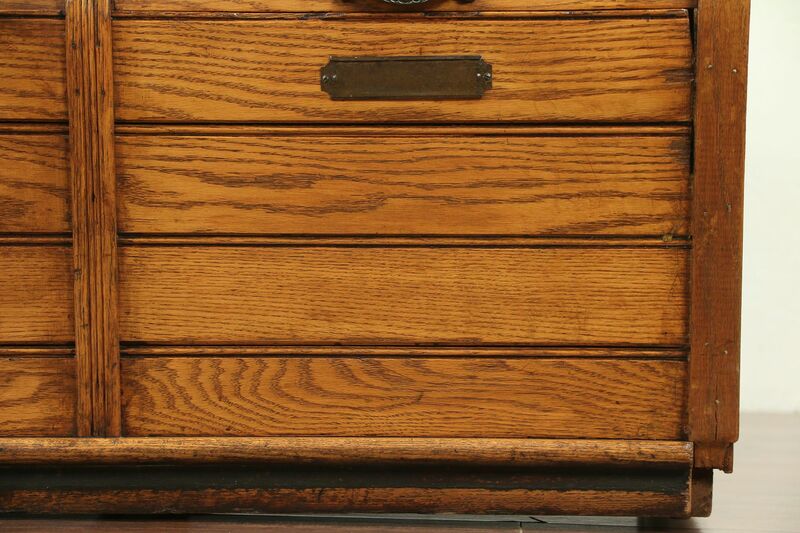 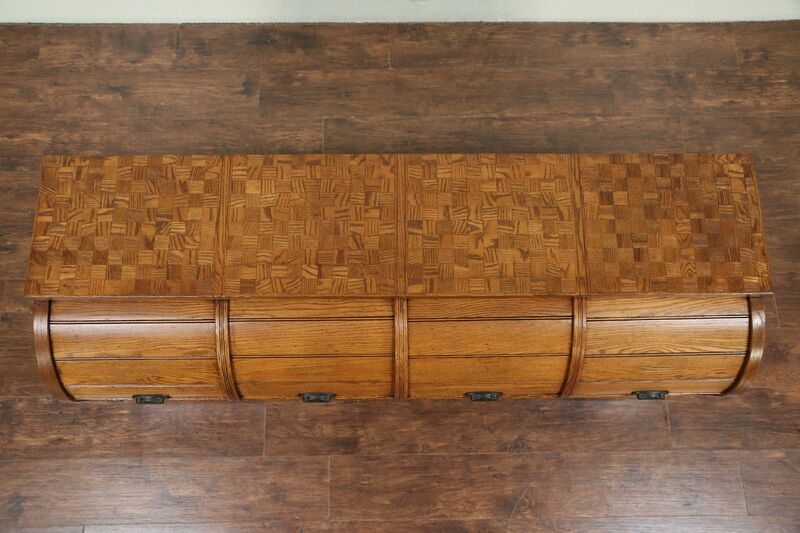 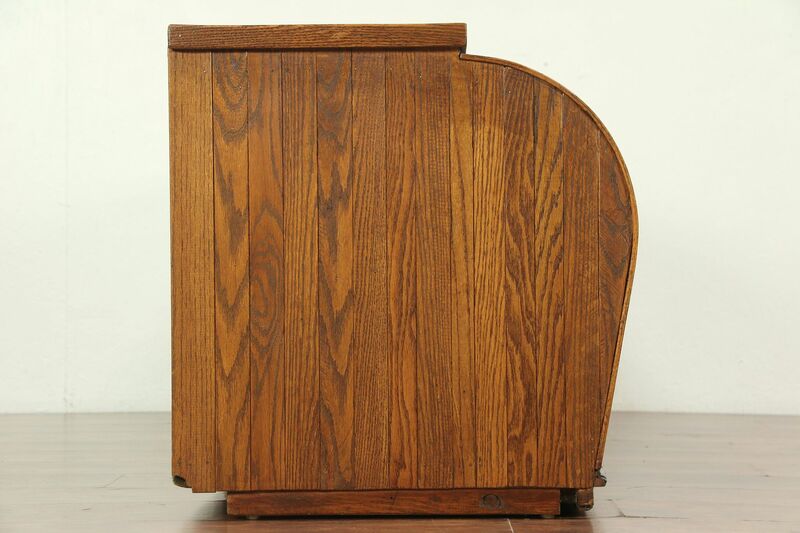 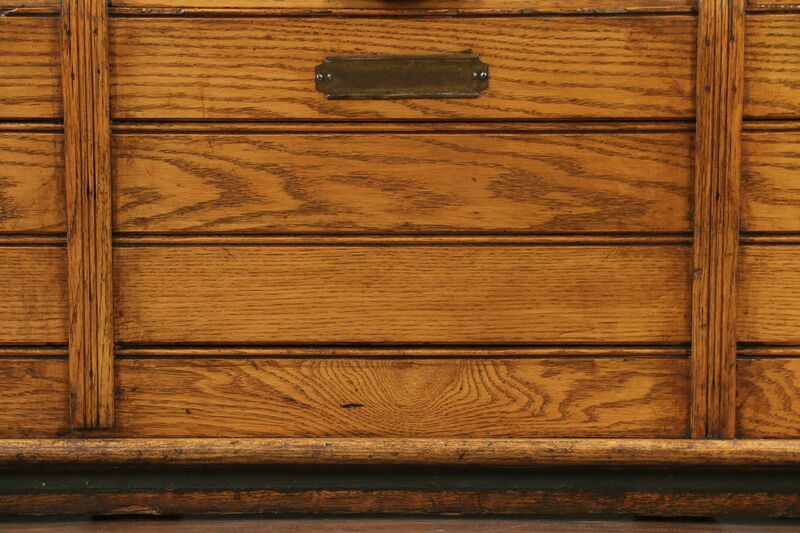 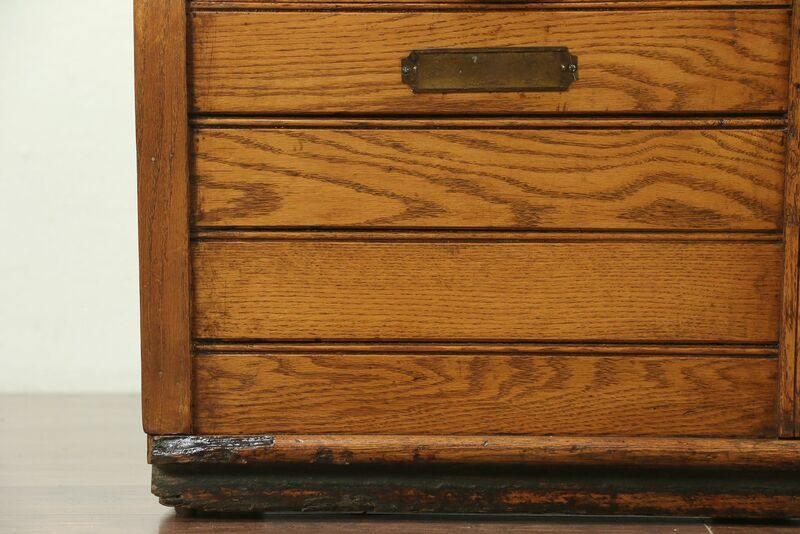 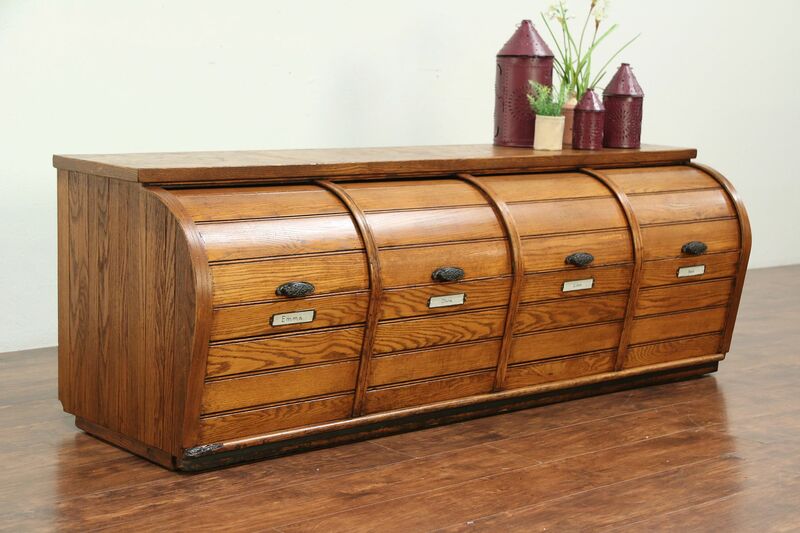 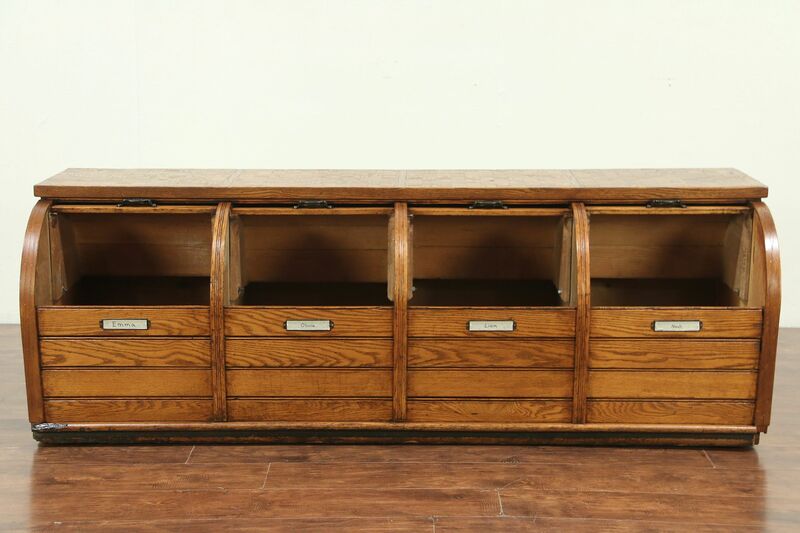 This four compartment bin with roll top doors was made to hold grains, and would be wonderful in a hallway for mittens and boots. 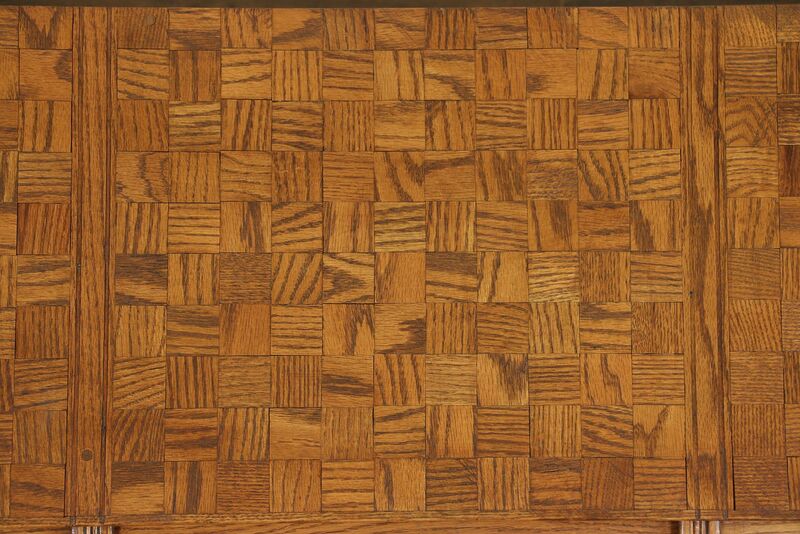 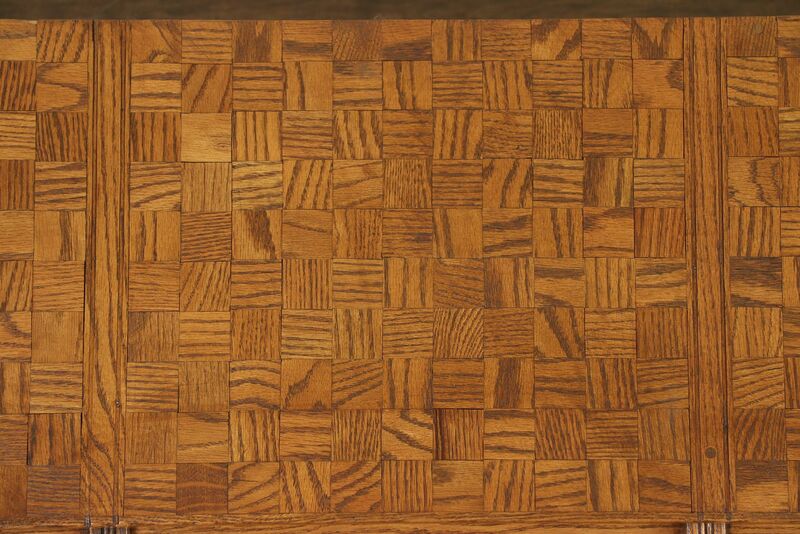 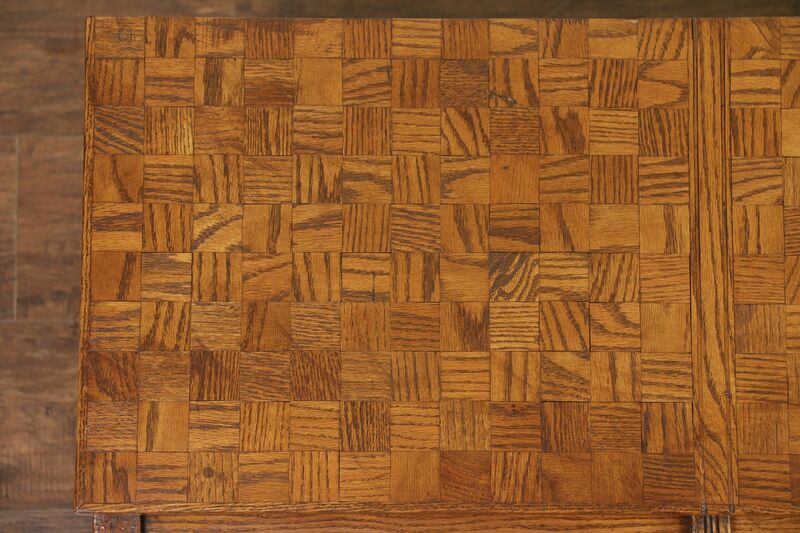 Hand crafted of oak about 1890, the parquet top is a replacement. 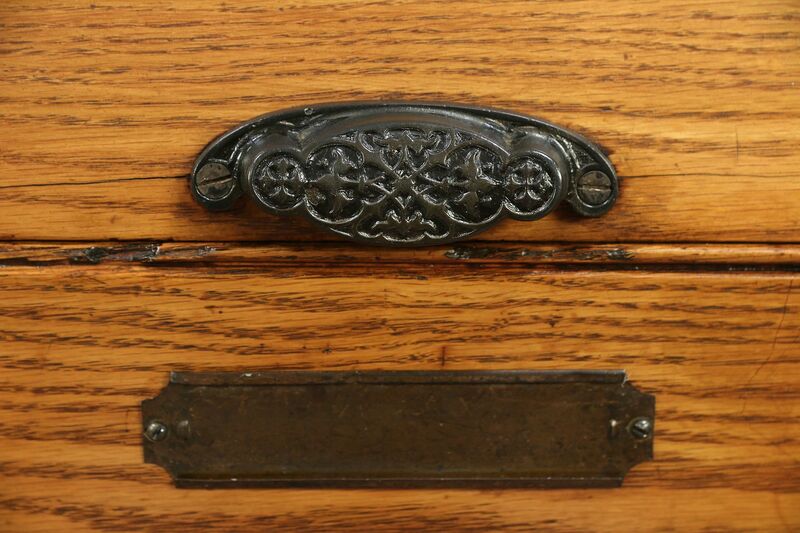 Bin covers roll smoothly, there are cast iron embossed pulls plus label holders. 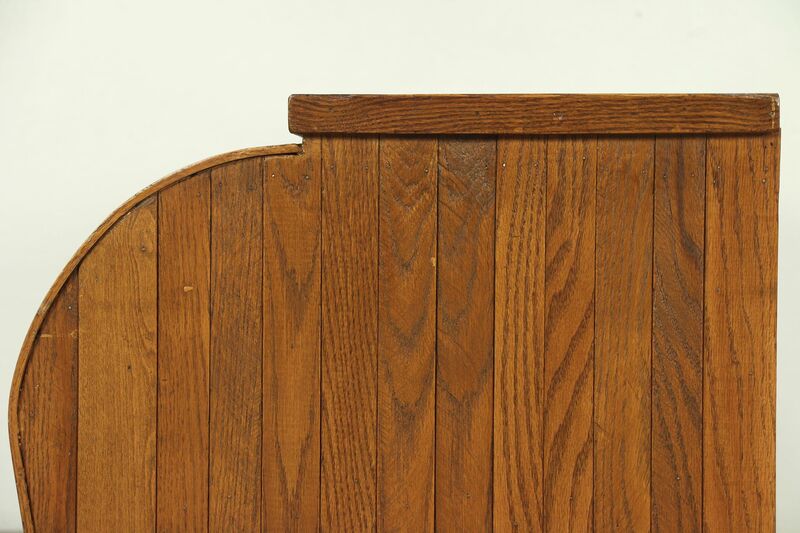 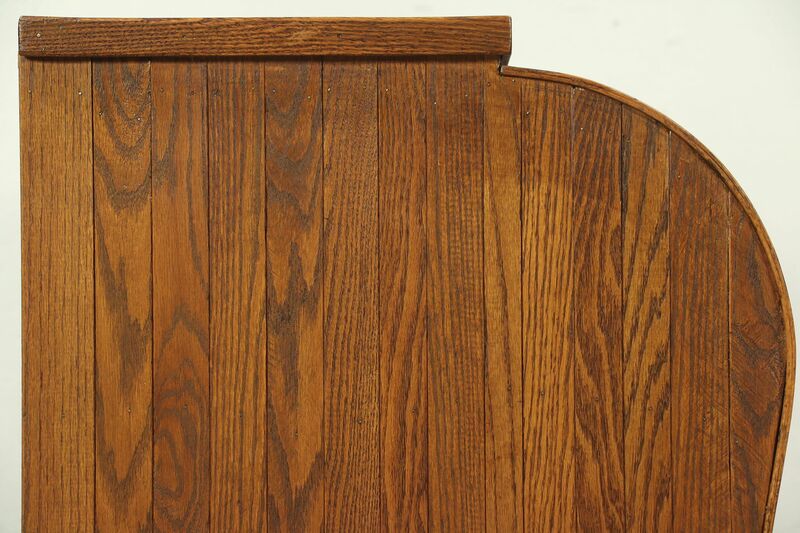 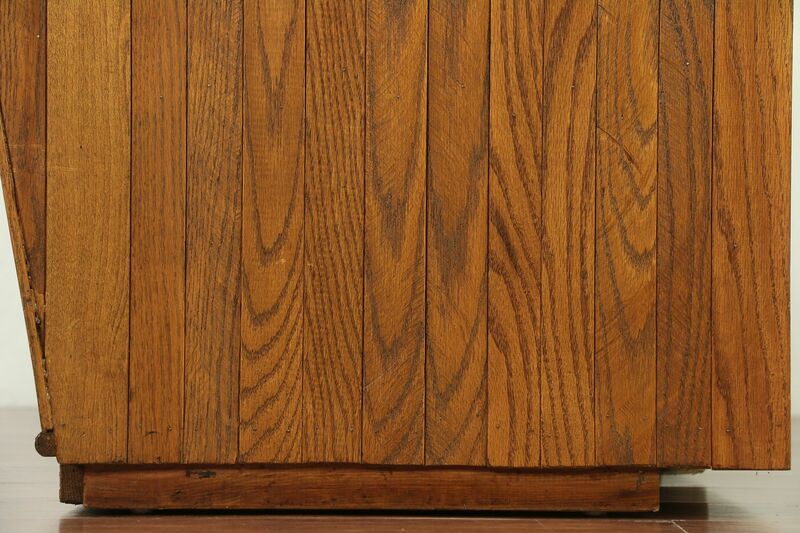 The restored finish is in very fine condition, preserving just enough stains and losses at the edges for a little antique character. 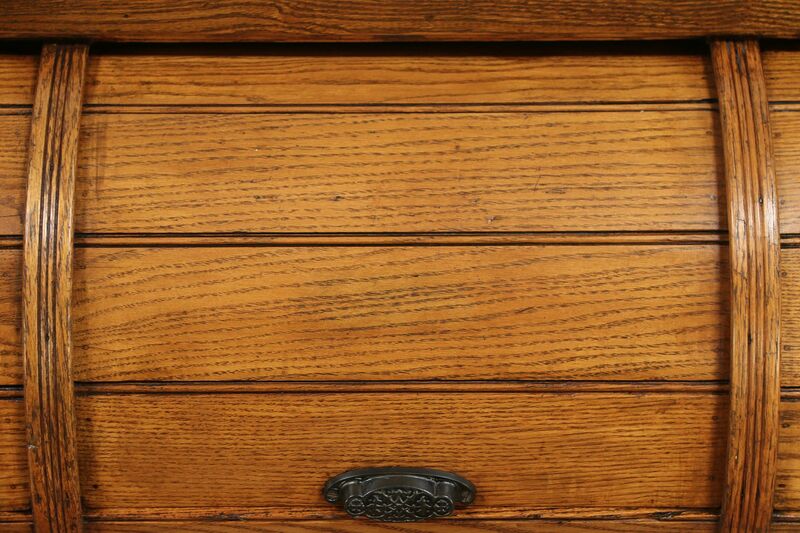 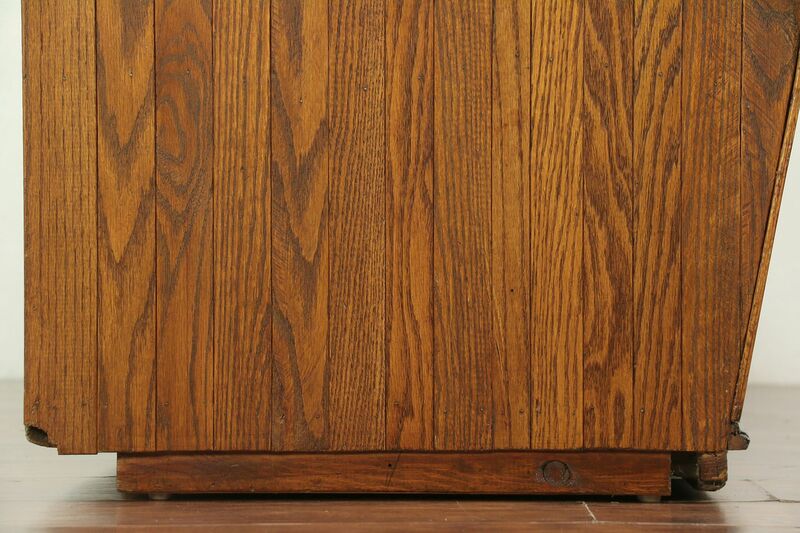 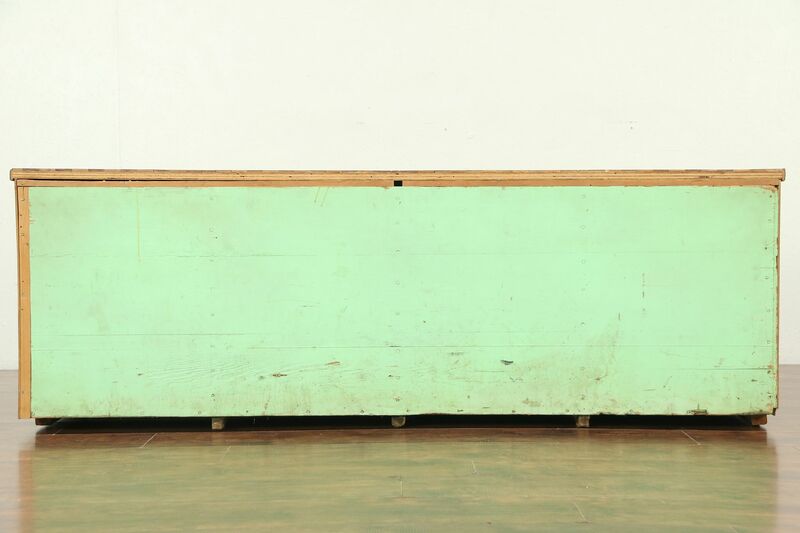 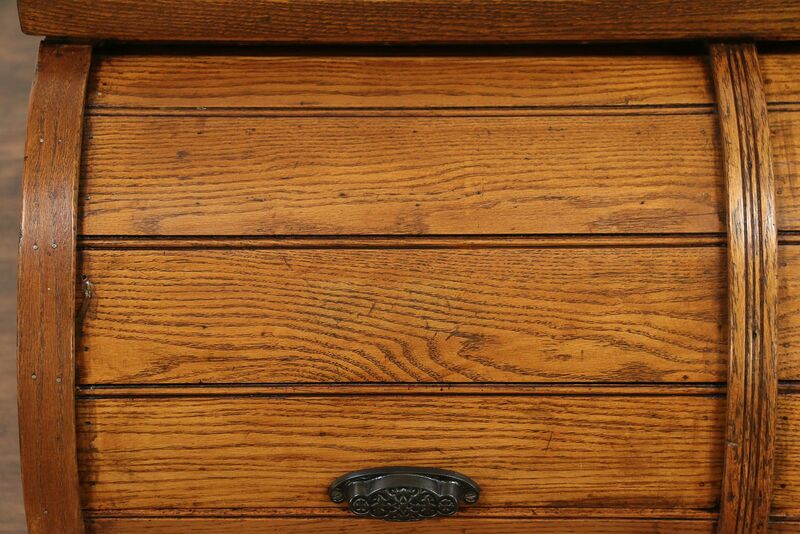 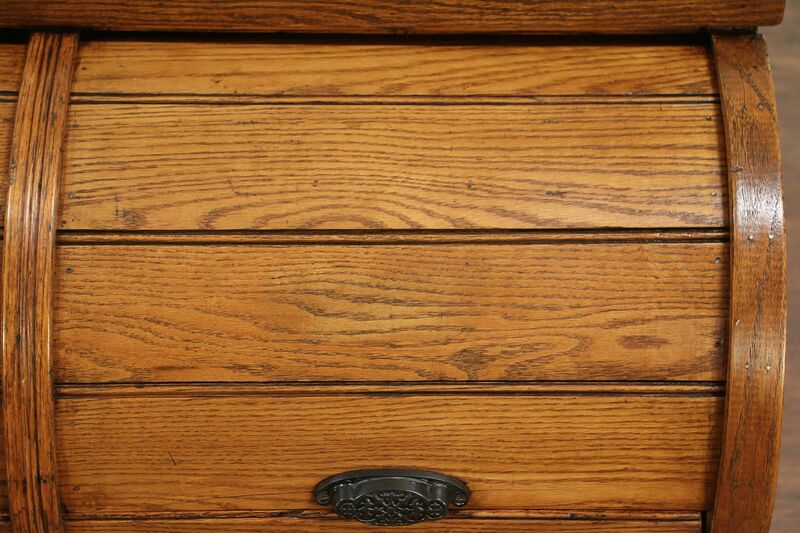 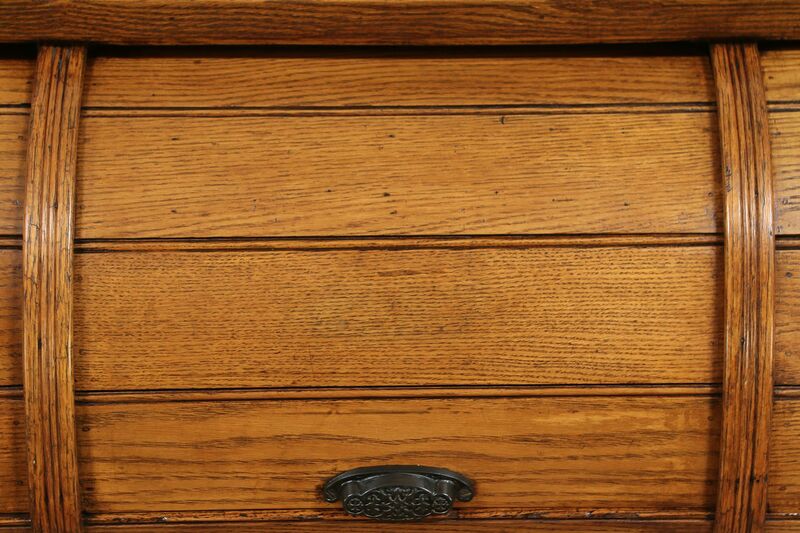 American made, this rugged antique furniture is picturesque. 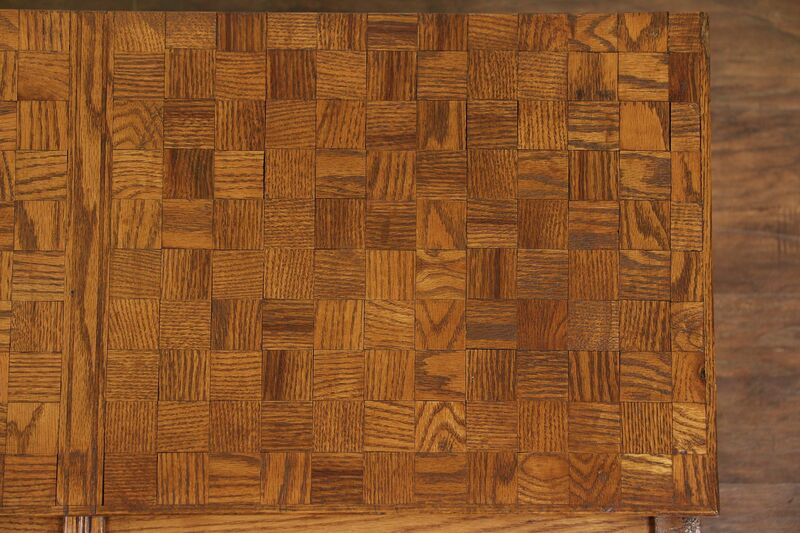 Size is 74" wide, 24" deep and 26" tall.